Looking for a �Red Carpet� worthy pair of earrings? You have found them! 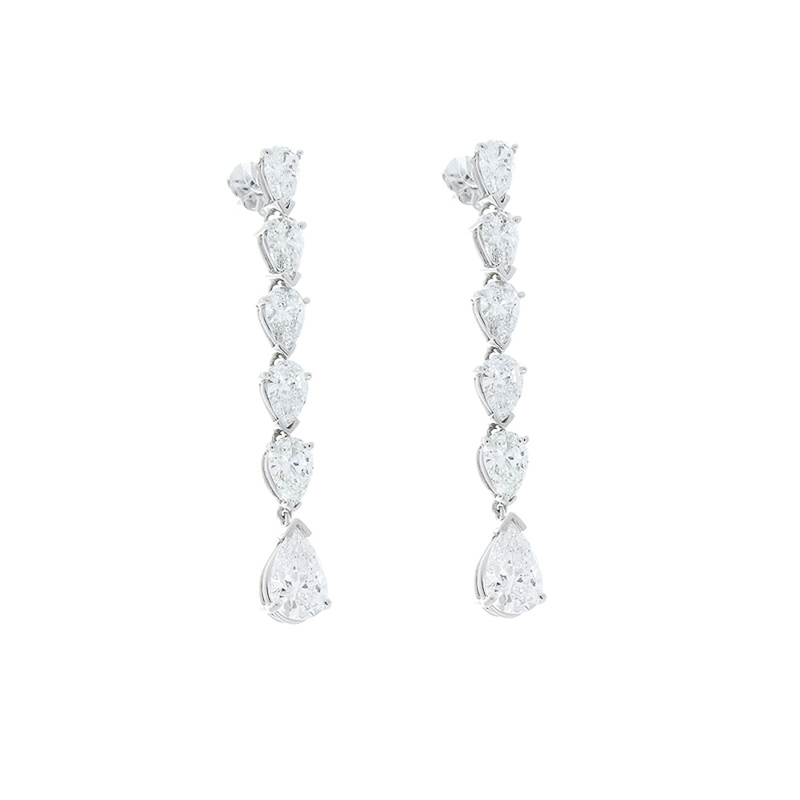 Dazzling diamonds cascade downward in this graduated diamond dangle earring. Beautifully crafted in 14 Karat white gold, you can rest assured that these earrings feel as luxurious as they look. Together these diamond dangles boast 5.65 carat total of pear-shaped diamonds. Command the room instantly, when you enter wearing this brilliant dangling pair of earrings.